Law enforcement believe that the brakes on the tractor-trailer that collided with an LAPD patrol vehicle in Beverly Hills on Friday may have been faulty. The NBC4 I-Team learned that the California Highway Patrol is investigating a potential safety problem with the truck, as a cause of the crash. CHP investigators were at the Pacoima home of Roberto Mendoza, the driver and owner of the tractor-trailer in this deadly crash. Chief Charlie Beck and Mayor Eric Garcetti express condolences after the death of a 10-year LAPD veteran killed in a crash. Ted Chen reports for the NBC4 News at Noon on Friday March 7, 2014. The CHP is there to help the LAPD maintenance records on the ill-fated truck. Investigators want to know if it was well maintained at the time of Friday’s crash. Mendoza ran his small trucking business out of this home. As NBC4 was there, Mendoza's wife, Maria, showed up, returning home from the hospital where her husband was recovering from injuries suffered in the crash. Maria Mendoza is cooperating with law enforcement, turning over the requested documents, officials said. Investigators have a long list of records they want to obtain. If Maria Mendoza doesn't produce all those records, they'll get a search warrant, sources said. 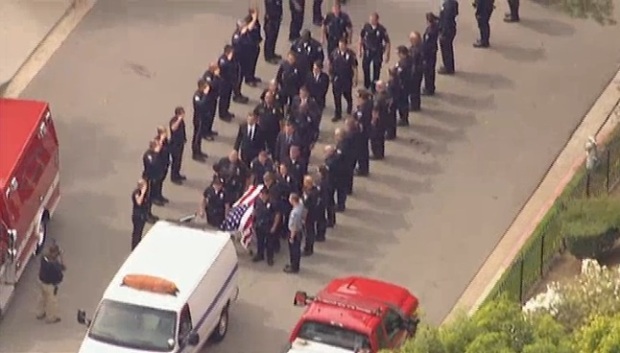 Police honored the memory of Officer Nicholas Lee at the LAPD station where he served in Hollywood after a fatal dump truck crash claimed his life Friday morning. 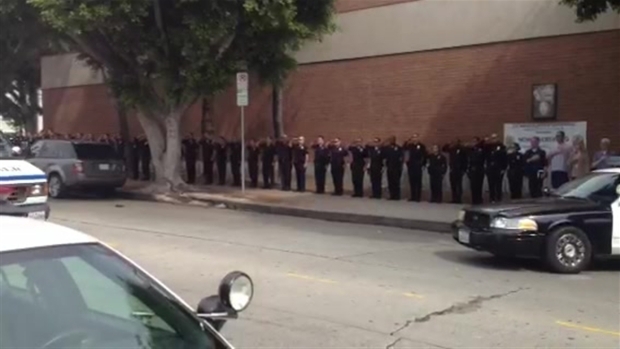 Conan Nolan reports from Hollywood for the NBC4 News at 6 p.m. on Friday, March 7, 2014. The Mendoza family had no comment.